Another rumor is all but confirmed. The world’s largest carrier just confirmed one big rumor about the 2018 iPhone lineup. China Mobile has published an image that all but confirms a new Apple smartphone capable of supporting two SIM cards simultaneously. 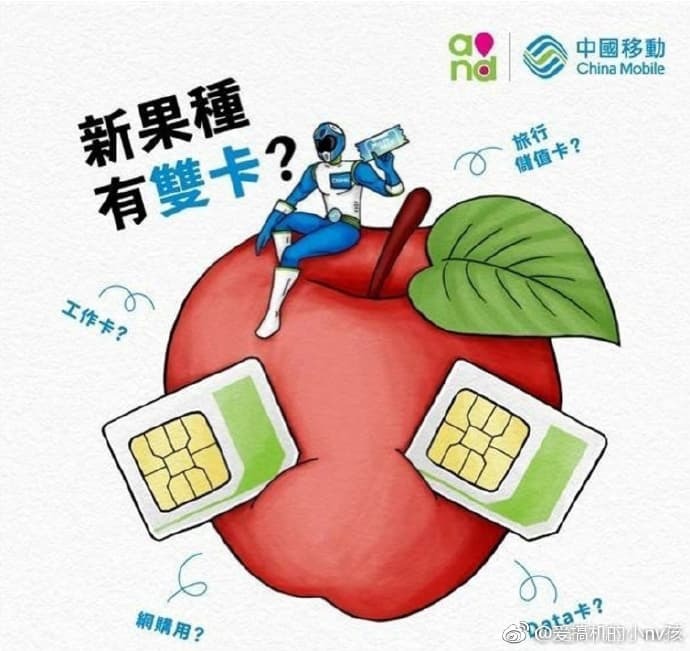 A separate teaser from rival China Telecom also hints at dual-SIM functionality for a next-generation iPhone. Apple’s biggest competitors have long offered smartphones that can carry two SIM cards, giving users the option to juggle two numbers with just one device. This is particularly important in emerging markets like China and India, where dual-SIM functionality is key for many consumers. It seems that Apple finally recognizes this, and it’s ready to catch up. A June report out of Asia claimed that 2018 would be the year that Apple delivers an iPhone with two SIM card slots. We were skeptical at first, but then a new iOS 12 beta came along in August and confirmed Apple was already making preparations for a dual-SIM device. 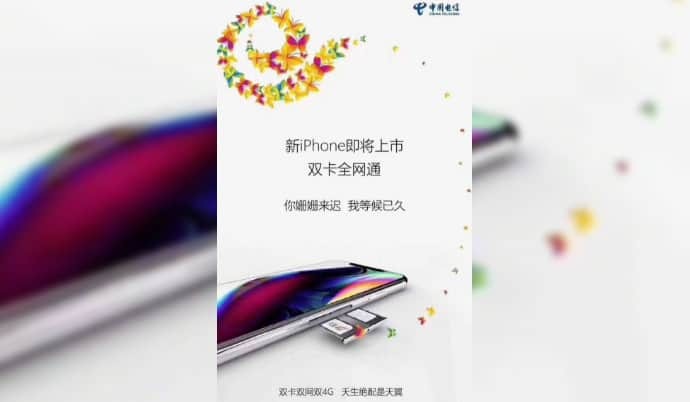 Now, two Chinese carriers have published images teasing a new iPhone with dual-SIM functionality days ahead of Apple’s big September 12 event. China Telecom isn’t keeping Apple’s secret. China Mobile’s teaser is a little more subtle. There is no iPhone in the image, but it does feature a juicy red apple with two SIM cards jammed into it. China Mobile’s teaser is almost as obvious. The teasers are so obvious that you might assume they leaked out accidentally, or were published prematurely. But it seems unlikely two separate carriers would have made the same mistake at the same time. Either way, Apple surely won’t be happy. And we shouldn’t get our hopes up for an iPhone with dual-SIM functionality just yet. 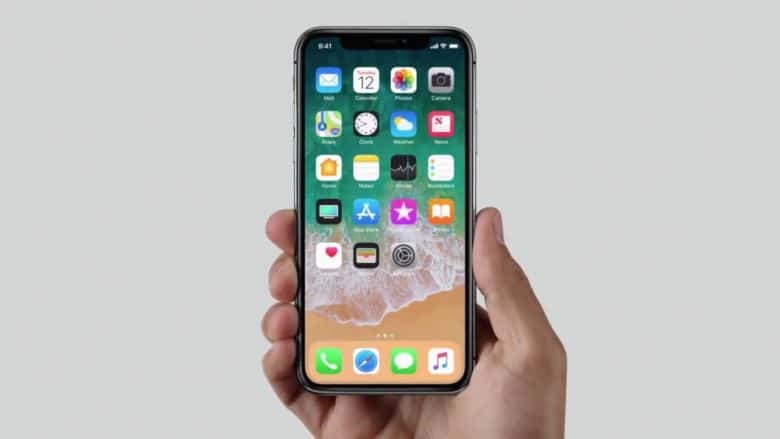 Although it is looking increasingly likely, recent reports have warned that this feature will be exclusive to one iPhone that will go on sale in China, while the rest of the world will see iPhones with just one SIM slot. We’ll know more on September 12, when Apple unveils its new devices during a special event from the Steve Jobs Theater in Apple Park.